Wilderness sea kayaking in Hall Arm of Doubtful Sd. Fiordland National Park. Double boats. 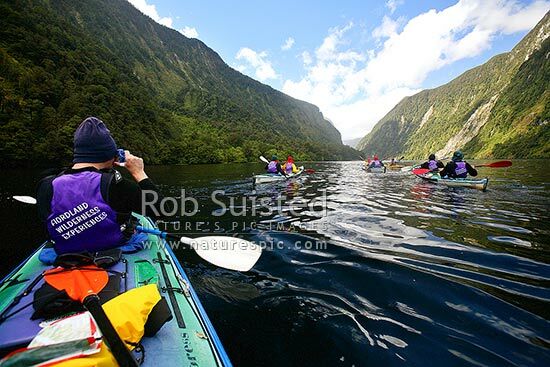 Person in foreground is taking a photograph, Doubtful Sound, Fiordland, Southland District, Southland Region, New Zealand (NZ), stock photo.